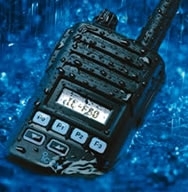 The Icom F50v waterproof type approved VHF portable radio with waterproof Speaker Microphone is ideal for Search and Rescue operations in all conditions. The very feature packed ‘sophisticated’ radio is very simple to operate and is proving itself to be extremely reliable. 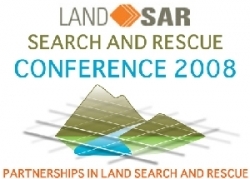 Recommended SAR Kit; Pack for at least two days. 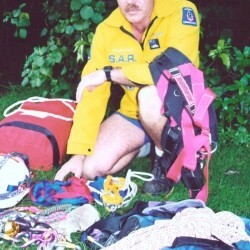 You should have everything in your SAR kit, already packed, ready to go. If possible, pack your gear in a medium sized comfortable pack and line your pack with a large plastic bag or pack liner. – It is advisable to have a small rope loop securely attached to the top of your pack to enable it to be clipped to a helicopter grabbit hook or winch. – Avoid having gear hanging from your pack or a pack that is too high. demand. However, changes to the management structure for SAR operations with the introduction of CIMS; changes to the radio section (especially the VHF frequencies) and the Searching section to reflect more modern search techniques as well as number of corrections to the First Edition has resulted in this, the Second Edition of the Field Guide. Northland SAR purchased their first Garmin GPSMap60CSx in July 2006. The group now have Eight Garmin 60CSx units and have a longer term plan of building the numbers to Twelve units. The Garmin GPS Map 60 CSx has become very popular among New Zealand Land Search and Rescue groups.